The website redesign for Toronto’s third largest tourist destination. Casa Loma is Toronto’s third most popular tourist destination. The castle is an iconic piece of Toronto’s history and one of the only genuine castles in North America. Beyond tourism the castle is also a go-to spot for weddings and luxurious special events. 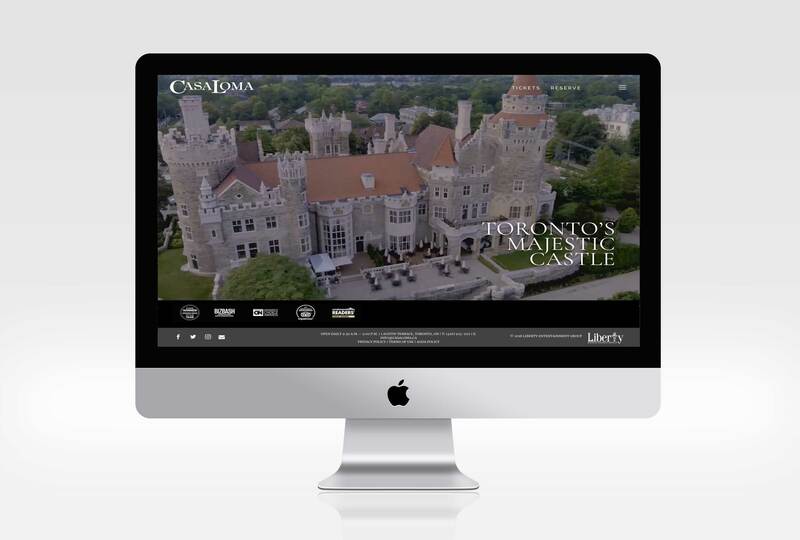 The website balances the two sides of Casa Loma’s business, and provides a rich user experience and detailed information on the landmarks history, attractions and private event spaces. The homepage video was produced from previously shot and originally produced footage. In addition the corporate events video was cut specifically for the launch of this website by Toronto Creatives. 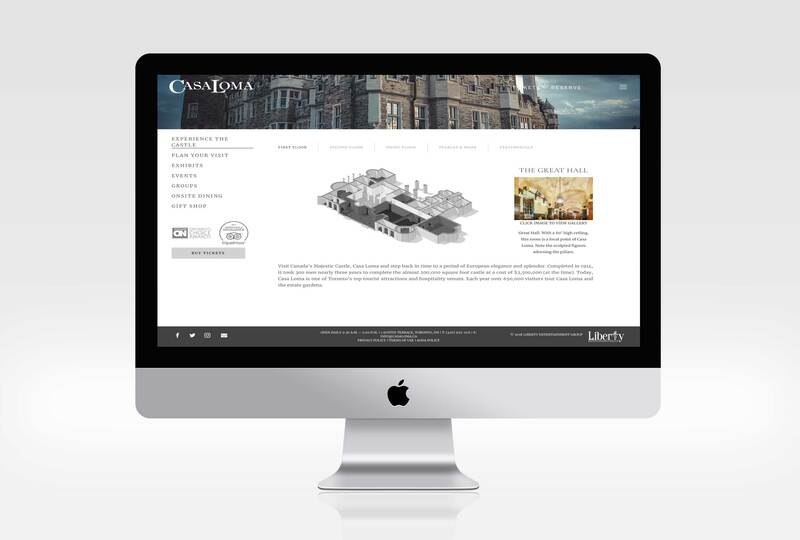 CasaLoma.ca also features two interactive tours that showcase the various rooms as setup for tourists and event goers respectively. 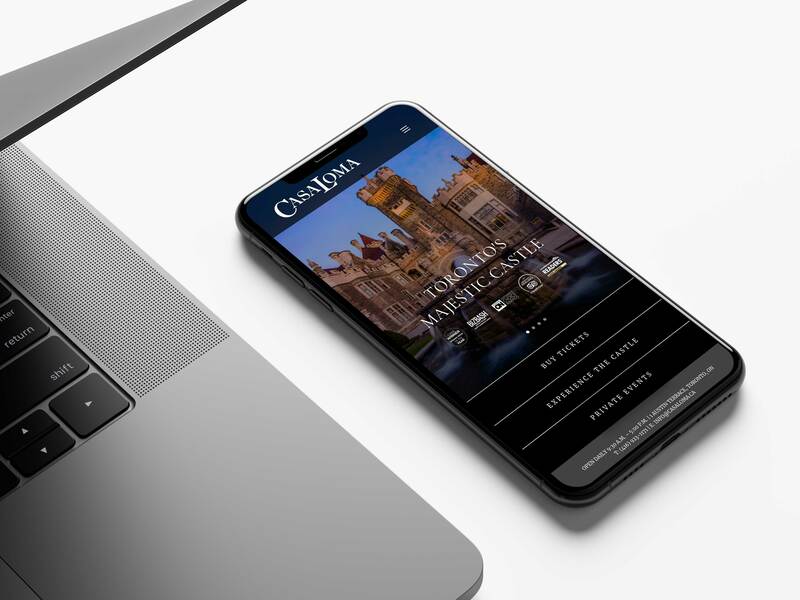 The site is designed to highlight the castles key points of interest, but also the primary call to action points appear multiple times thought out the sites user journey – most notably a dynamic global ticketing link for easy client updates. 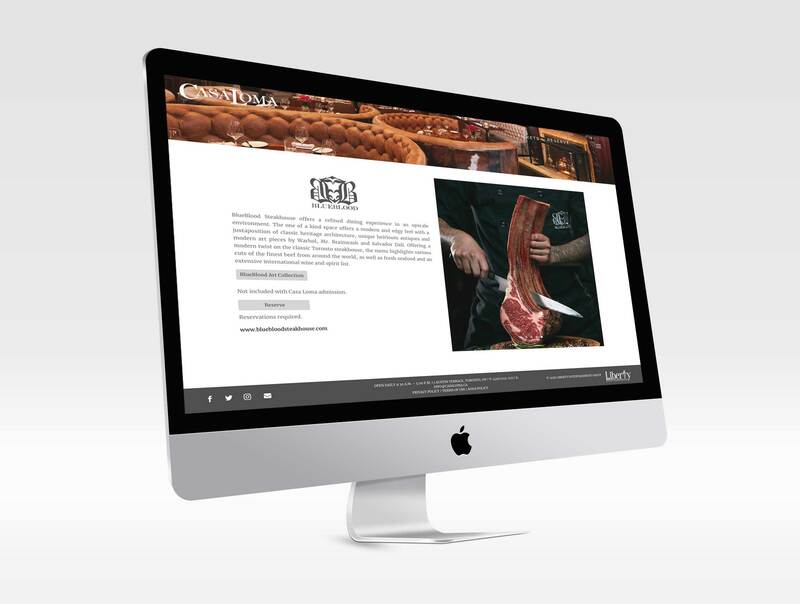 Visit CasaLoma.ca to see the site in action!